Guess what I found today on my BK lunch run? 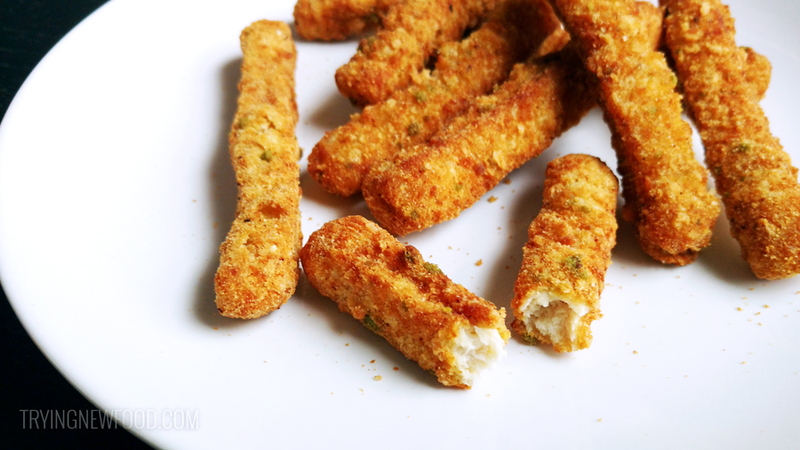 Burger King Jalapeno Chicken Fries! This was the first time I’ve heard about them — and I couldn’t wait to give them a try. Doesn’t seem like a big deal for BK since I couldn’t easily find details of it on their site. 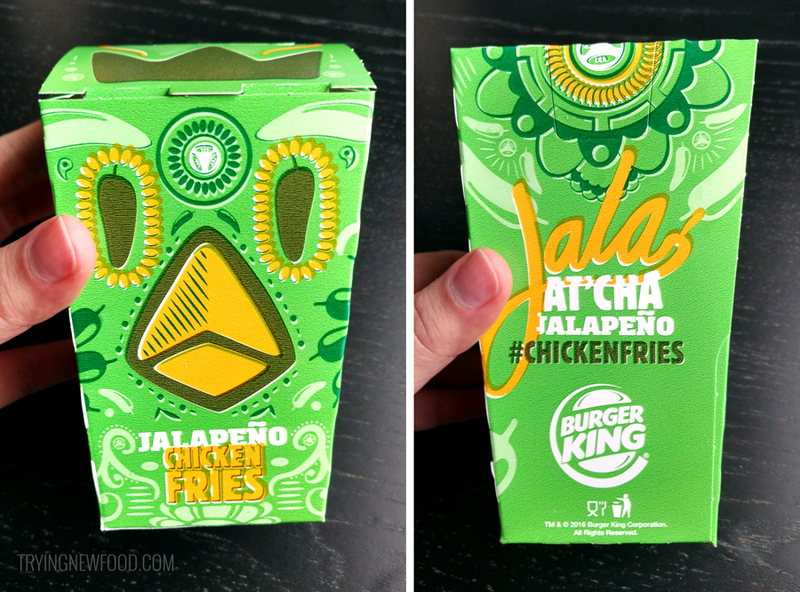 All I could find was this press release from January 27, 2016 about the release of these limited time Jalapeño Chicken Fries. My husband remembers them from last year, but I can’t recall them. Since Burger King had a giant window display that we noticed on our way to the drive thru, I thought this was brand new. Maybe they will be bringing these back every year around this time? 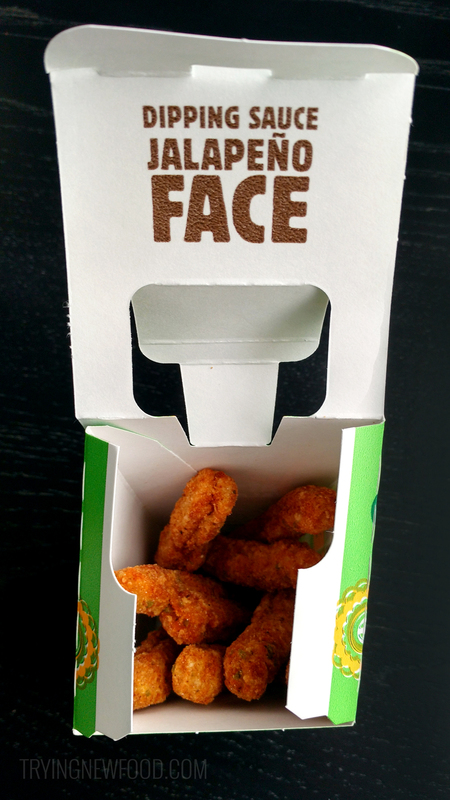 I am a huge fan of the box design for these chicken fries. Look at those pepper eyes! Beautiful design work. 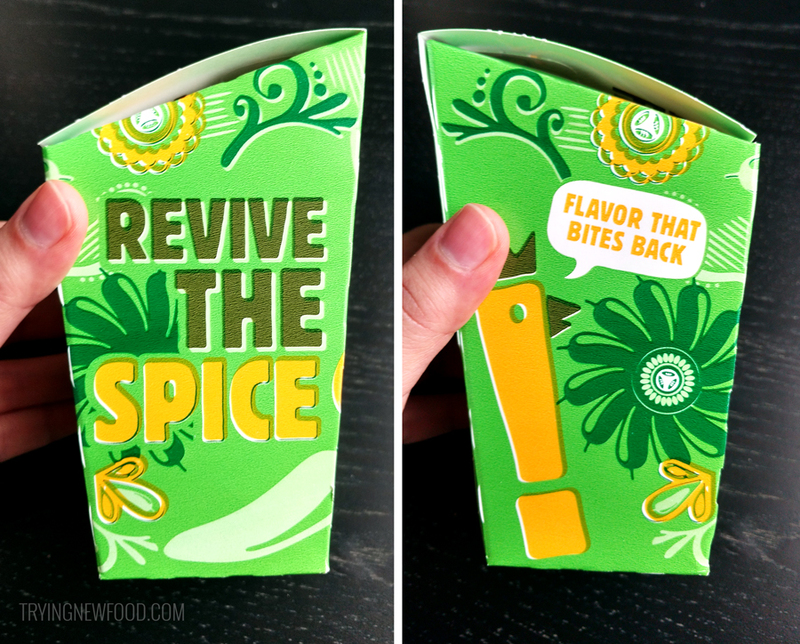 And I like the #ChickenFries on the back. I never know what to hashtag, so that makes it easy.